Newly opened Lucy’s Country Café will welcome Jake Owen, Darryl Worley, Pam Tillis, Aaron Tippin, Rhett Akins, Heidi Newfield, Andy Griggs, Trent Tomlinson and more for its Words For Warriors acoustic benefit on Wed., April 11. One hundred percent of the proceeds from the evening will go towards funding outdoor expeditions for our Wounded Warriors. 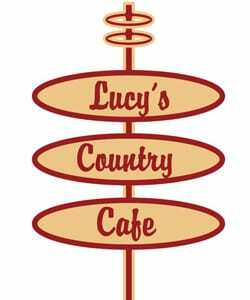 “We hope this will become the first of many annual events at Lucy’s Country Café to support KWO initiatives,” states Bobby Pinson, owner of Lucy’s Country Café. Tickets can be purchased for $15 in advance at Blue Bar, and will be for sale for $20 at the gate. The show runs from 7 – 11 pm. Singer/Songwriter Bobby Pinson and his wife Lucy opened the restaurant in early 2012 in the same building as Blue Bar on Broadway. They serve a southern-style meat-and-three buffet featuring a variety of homemade family recipes. Every Wednesday the cafe hosts “Sing For Your Supper,” where established and aspiring songwriters can take the stage.